With your help we be able to give away funds to a worthy NZ charity next month! CCS Disability Action’s vision is to see every disabled person included in the life of their family and community. As well as providing direct support and advocacy, we have a wider role in shaping society’s attitudes towards people with a disability. We have been working with disabled people and their families since 1935 and are now at the forefront of service provision, advocacy and information sharing in the disability sector New Zealand-wide. Our people are professional, innovative, dedicated and knowledgeable. We hold ourselves to the highest possible ethical and professional standards and are known for our partnership approach to support. We care for the whole person, not just their physical needs but also their emotional, spiritual, and social needs too. We care for family / whānau and friends as well, both before and after a death. Irrespective of where they are, this philosophy of care does not change and everything we provide is free of charge. We believe that hospice care should be available to anyone who needs it, helping people make the most of every moment, in whatever way works for them. 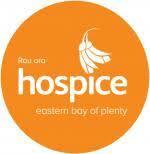 Care is provided at patients’ homes throughout the Eastern Bay of Plenty, in consultation with their GP. The Scratching Post is operated by the Stratford Companion Animal Assistance Trust, a small Trust independent of any other organisation. The Stratford Companion Animal Assistance Trust was registered with the Charities Commission in May 2012 (CC47730). We needed an operation base and means to fundraise, so The Scratching Post opened in Stratford in August 2012 and became our presence in the Community. 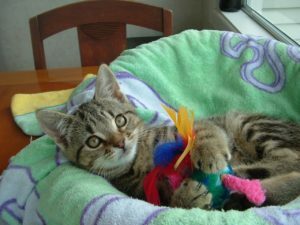 Our two main objectives are caring for young kittens in need and advocating the need and importance of pet desexing. We concentrate on helping young kittens as they are the most vulnerable due to their age and inexperience. By concentrating on the younger generation we also ensure that they do not contribute to uncontrolled breeding resulting in more homeless cats in our District. Choose one of these 3 charities to receive this money. (Vote in the poll below before 5pm, 30 April 2019). Which of these 3 charities has your vote for the charity we support in April 2019?